San Joaquin is a second class municipality in the province of Iloilo, Philippines. 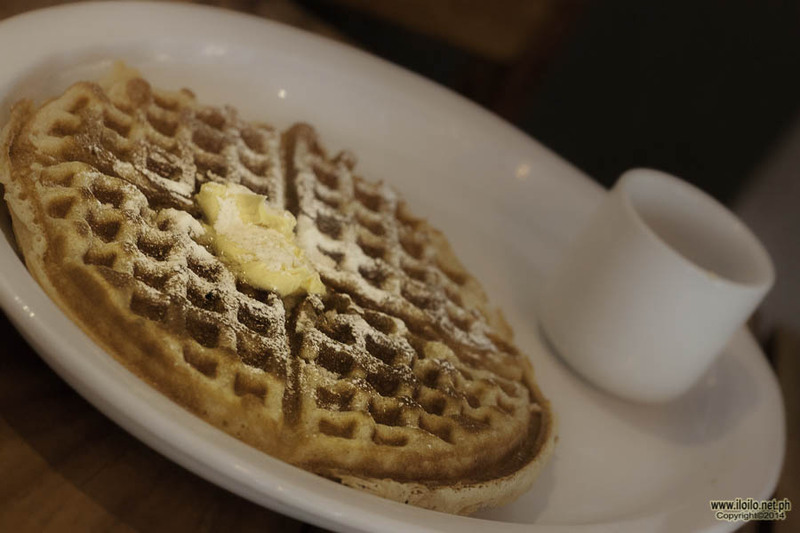 According to the 2010 census, it has a population of 51,645 people. 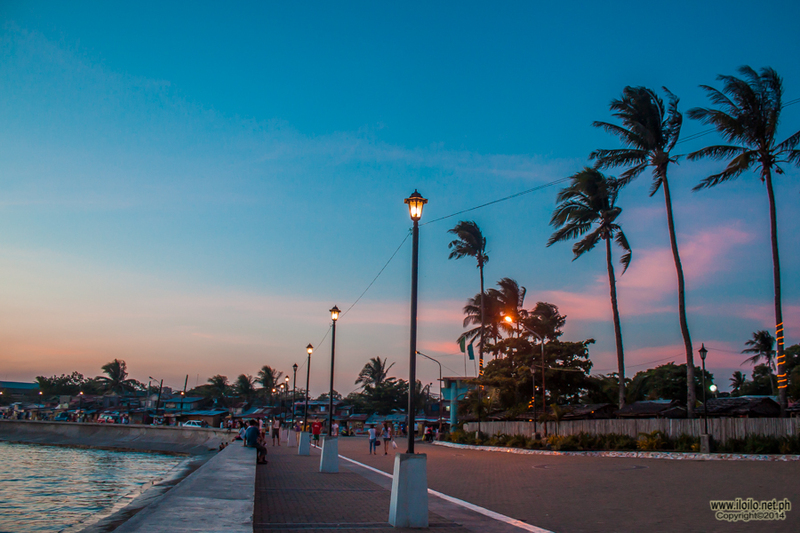 It is the southernmost municipality in the province of Iloilo and is 53 kilometres (33 mi) from the provincial capital, Iloilo City. 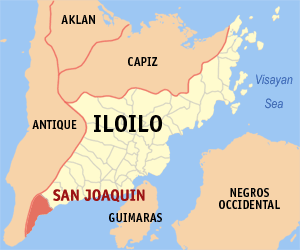 San Joaquin is located in the southern tip of Iloilo Province and Panay Island. It is bordered by mountains in the north and Sibalom, Antique. 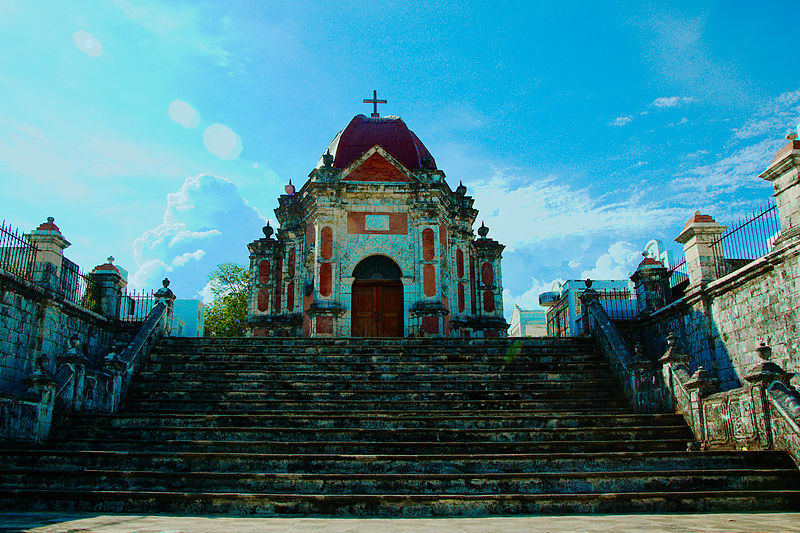 West of it is the towns of Hamtic and Tobias Fornier in Antique and east of it the town of Miagao, Iloilo. The south of San Joaquin is a coastline facing the Panay Gulf where marine sanctuaries have been declared as Marine Protected Areas (MPAs). One of the rivers that traverse the town is the Siwaragan River with Barangay Siwaragan and Bucaya situated in its mouth. Another river in San Joaquin is the Surraga River. San Joaquin is subdivided into 85 barangays. 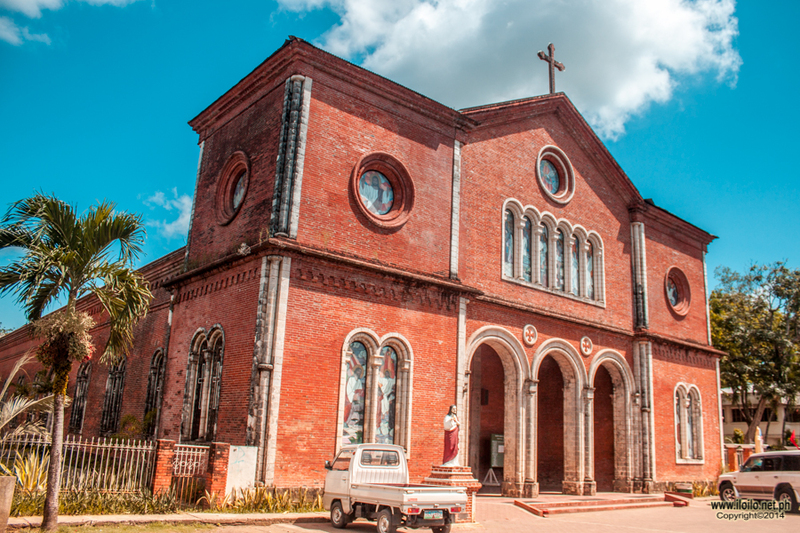 The main church in town, a Roman Catholic parish was built in 1869 by Spanish priest the Reverend Tomas Santaren. 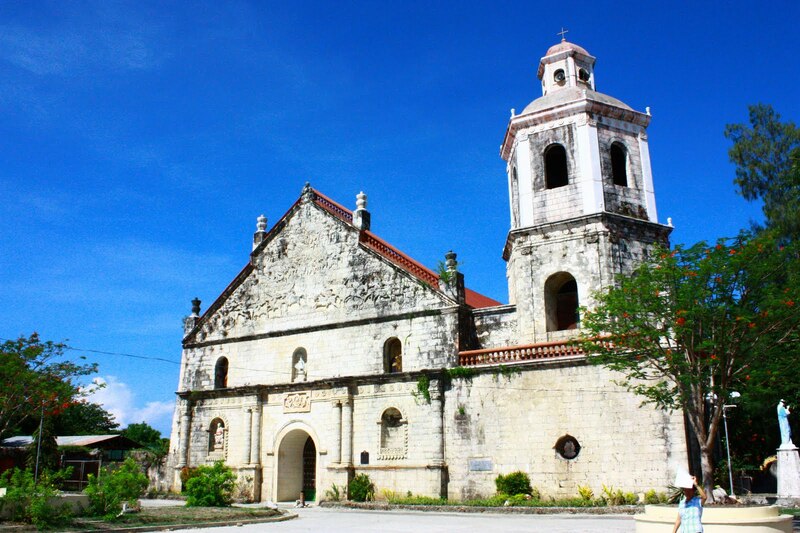 The church is unique among those in the Philippines for its large pediment featuring a military scene, the Spanish victory over the Moors in the Battle of Tetuan. The National Historical Institute listed the church as a National Cultural Treasure. The San Joaquin Cemetery is located along the main highway in San Jaoquin Town. The construction of San Joaquin Cemetery was commenced by Fray Mariano Vamba, the last Augustinian parish priest of the town in 1892. A statue of Jesus with his arms outstretched stands on top of a baroque style gate, and on each side of Christ, two columns with angelic figures are poised as guards. In addition, sculpted heads of two cherubs and a skull representing death marks the entrance of the cemetery. 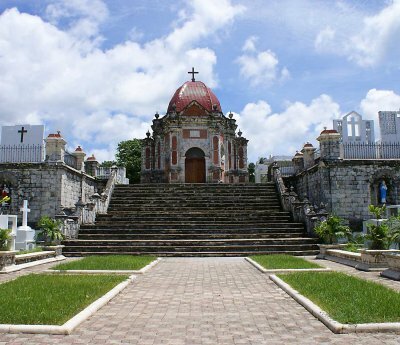 Twenty stone steps after entering the gate and you will be greeted by the Baroque designed mortuary chapel standing on the center. The Bayluhay Festival, celebrated every third week of January, reflects the town’s unique mixture of races and cultures. 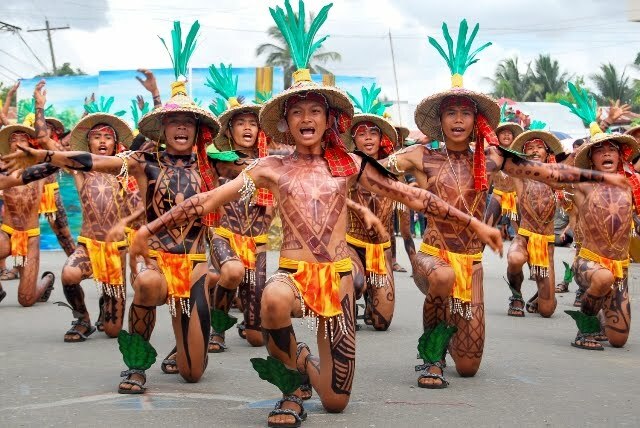 Historical and religious themes, mostly anchored from the Barter of Panay, such as efforts with the preservation of rituals, are reflected through the dances presented in the festivity. Accentuated every annual municipal fiesta is the “Pasungay” or bull fight. During this affair, the best bulls from the different barangays are pitted against each other by weight category in a “bull derby”. 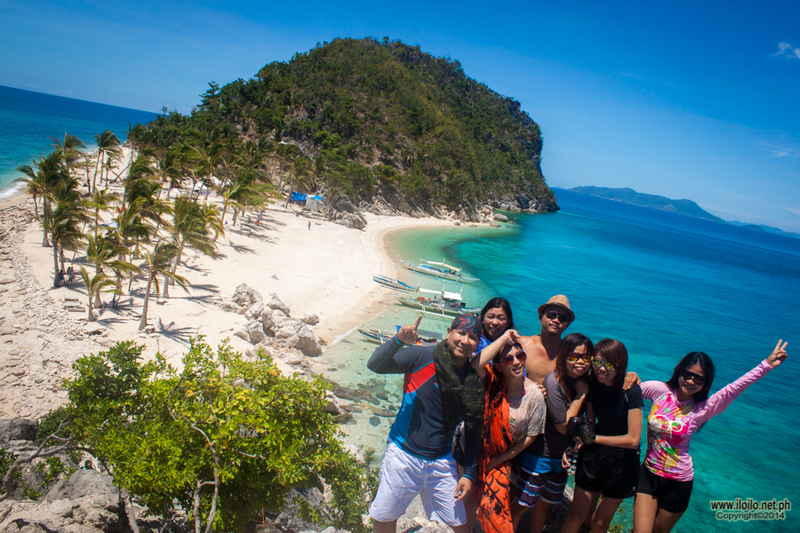 The Talisayan Beach Resort is a privately owned beach resort located in the Poblacion. The Cata-an Cove and Tobog Beach Resort in Barangay Cata-an, about 10 kilometers from the Poblacion, is a place perfect for scuba diving and weekend outings. Garin Farm, a 15 hectare privately owned farm resort in Purok 2,Poblacion which showcases agriculture,leisure and pilgrimage theme. Practical and intelligent farming are imparted to the visitors through the agricultural techniques and innovative technologies applied in the demo farm. The resort leisure amenities include a swimming pool, a 5,000 sq.m man-made lagoon located on a hilltop, with fishes and lilies which offers fishing, boating and kayaking, and a 300 meters zip- line which goes over the lagoon and through the trees. On the top of the hill sits the 101 Feet Divine Mercy Cross, which can be accessed by a 456 step stairway. Along the stairway are life-size and lifelike statues depicting the Creation, Noah’s Ark, Ten Commandments, and the 9 Major Events of the Life of Jesus Christ.